Please complete the details below and click the submit button. Thank you for your feedback. 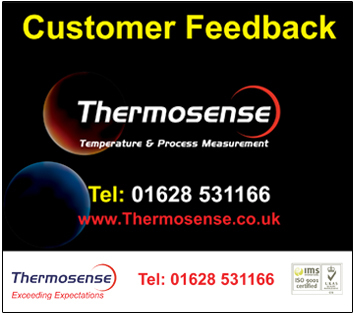 At Thermosense we pride ourselves on delivering quality Temperature and Process Measurement products whilst offering service to the highest possible standard. To continue achieving this level of service, and improve further, we rely on constructive feedback from our customers. Please complete this online feedback form and let us know whether we have met your expectations. Your feedback is valuable and enables us to provide our customers with the best possible service in the future. To help us avoid spam please type the validation code shown in the blue box.